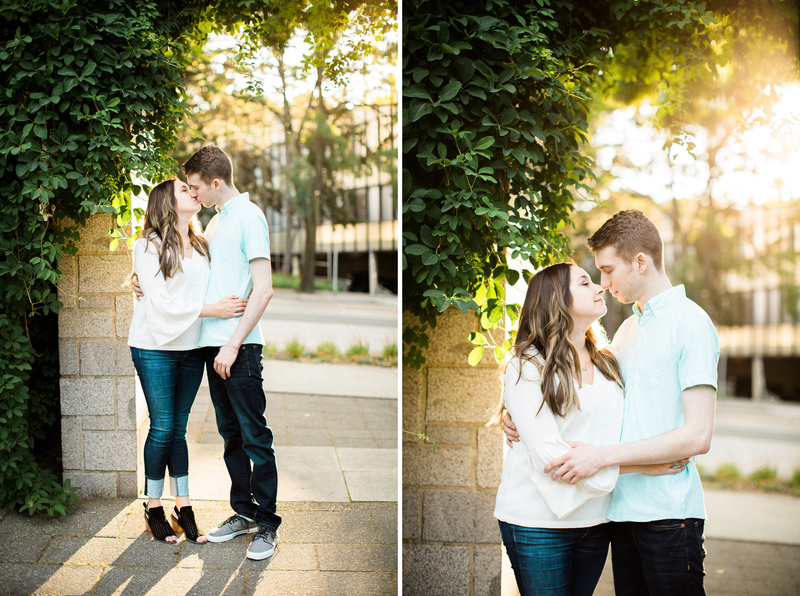 I met Elizabeth & Joel just two days before their wedding!!! 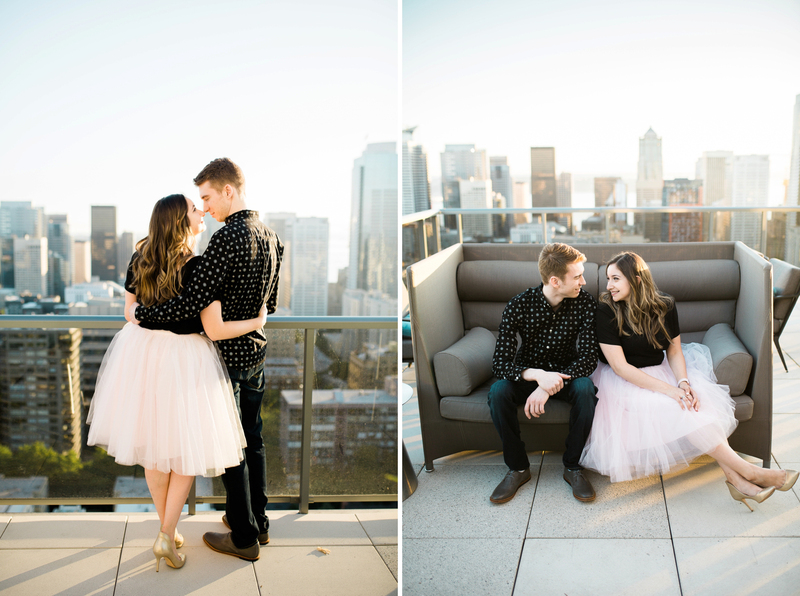 Currently they are living in Texas while Elizabeth is working on her Masters (and Phd). 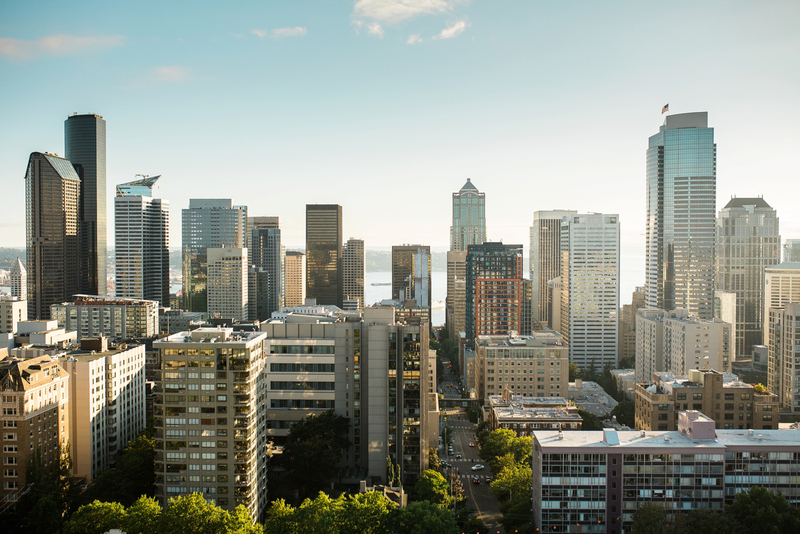 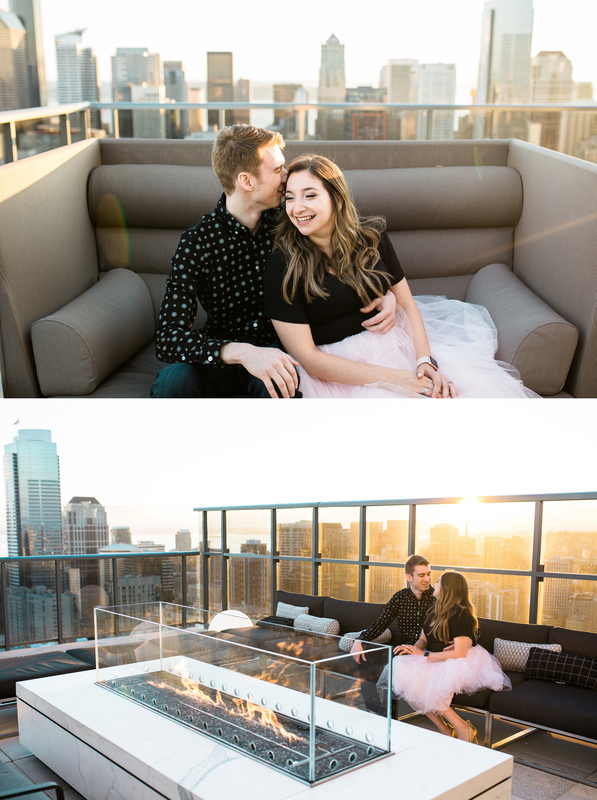 However, Seattle is their home. 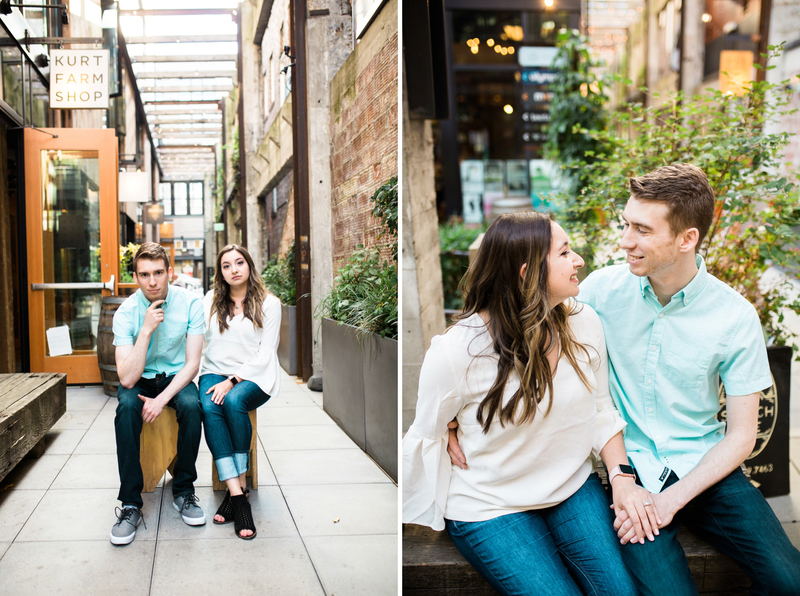 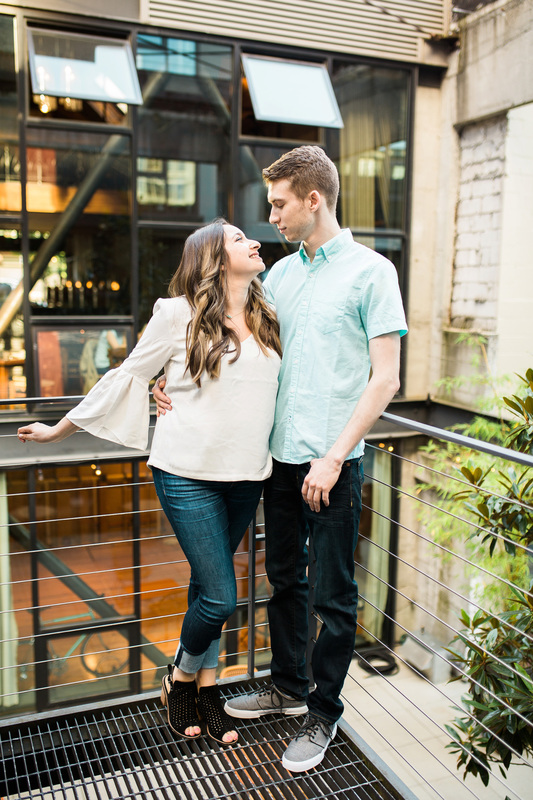 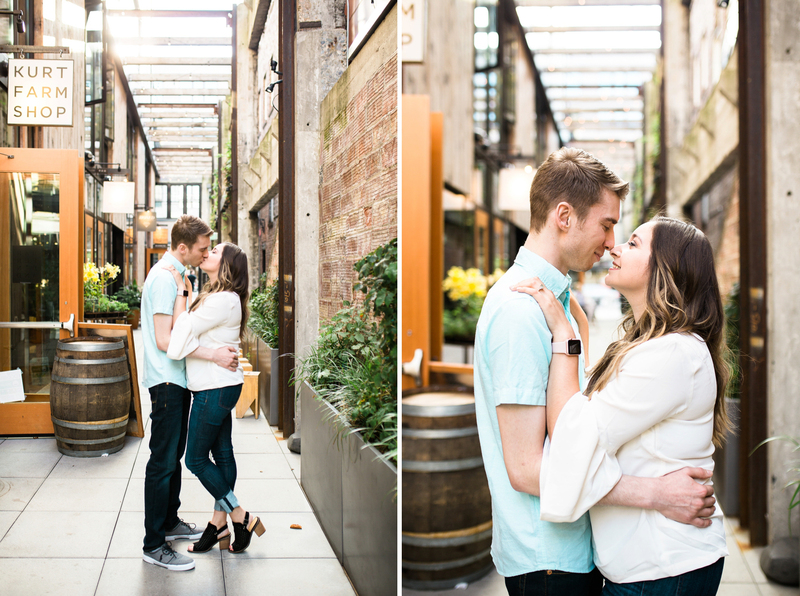 Elizabeth & Joel wanted to get to know me a little more before their big day and saw an engagement session as the perfect opportunity to do so. 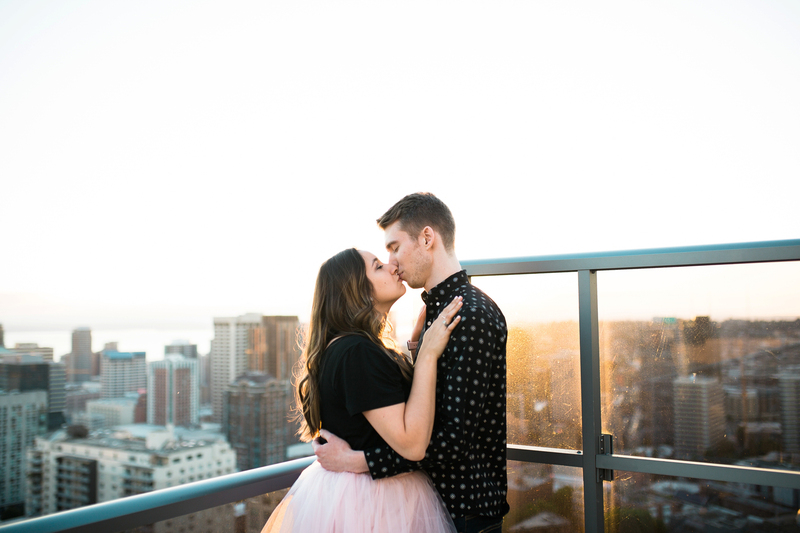 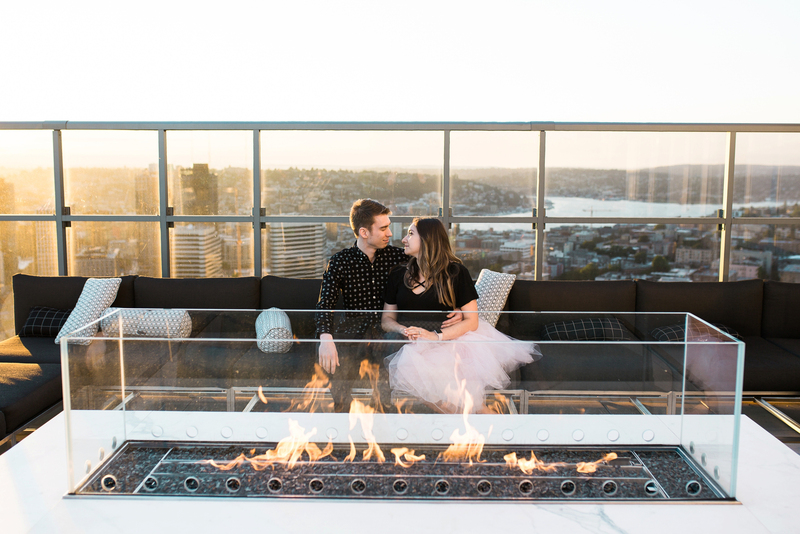 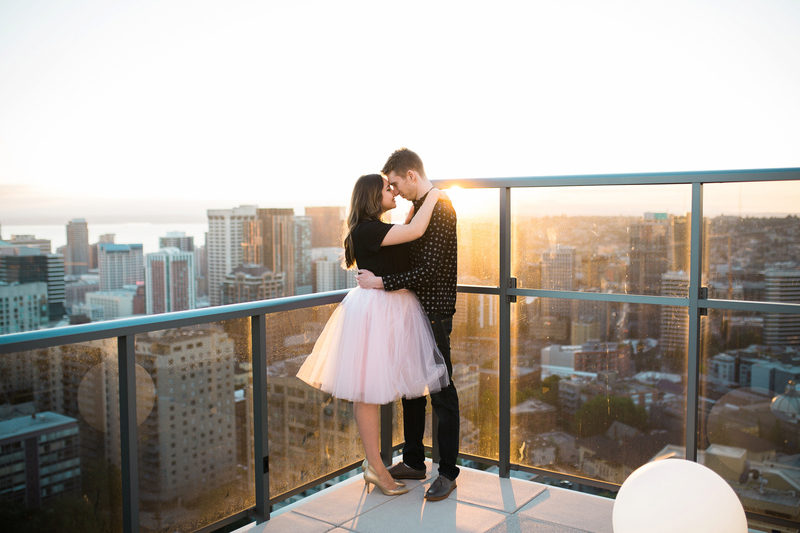 Planning a wedding long distance can be a challenge, and I’m so glad they didn’t skip the engagement session. 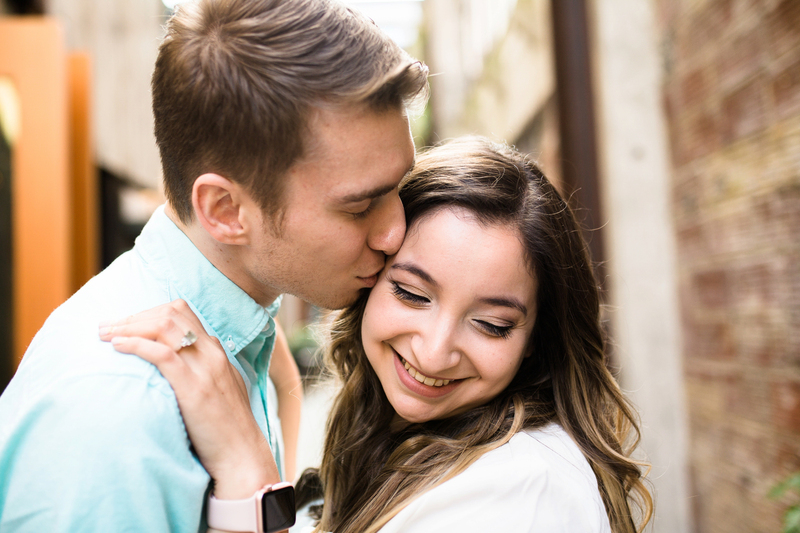 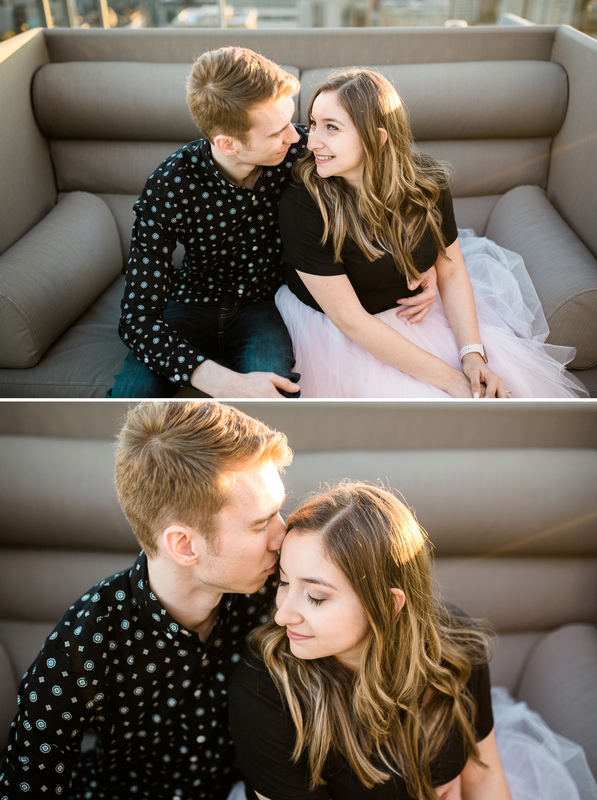 I love photographing engagements (duh! 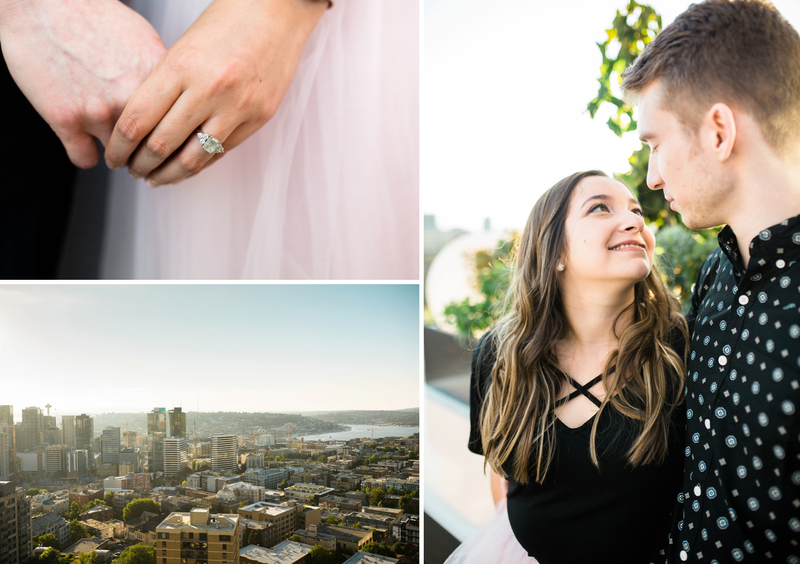 ), providing my couples with images of their day to day look is so fun, and I find photographing a couple before the wedding day helps everyone feel more relaxed for the wedding portraits. 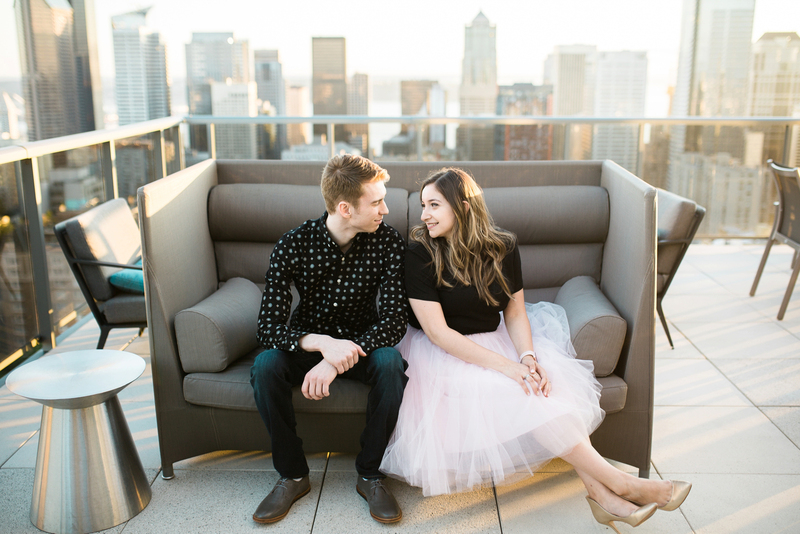 We met at one of their favorite date night spots, sushi at Momiji! 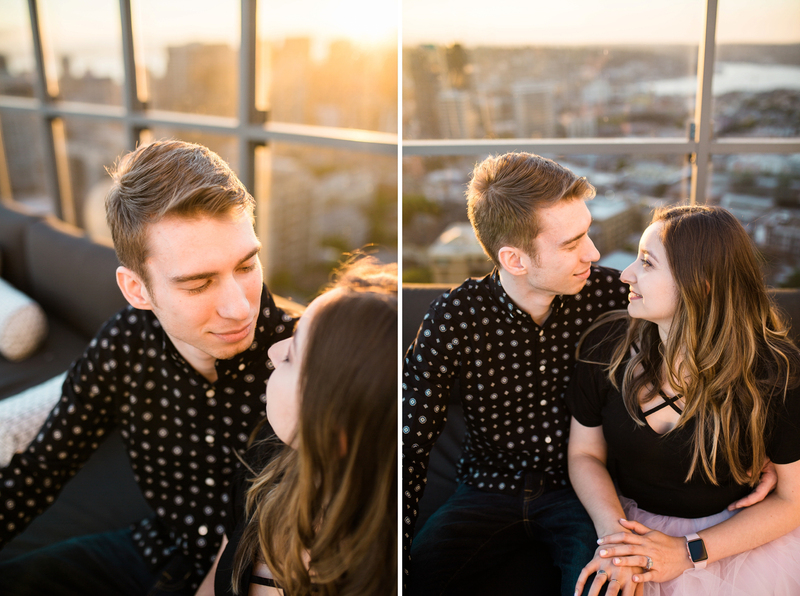 After sushi we walked around Capitol Hill, stopped by their old campus and where they met at Seattle University, and then headed to watch the sunset on a rooftop.